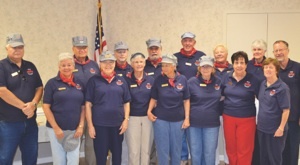 VAHS relies on volunteers to fulfill its mission. People with a variety of backgrounds and talents are needed to support the diverse programming sponsored by the Society. Please share your talents and help promote the unique history of the Venice area! 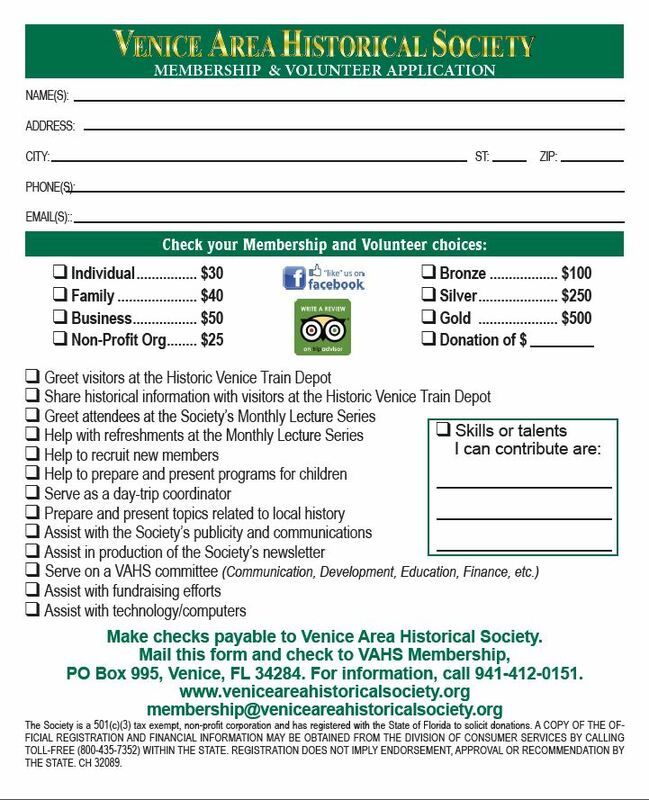 To learn about volunteer opportunities, download the VAHS Membership Brochure, or contact information@veniceareahistoricalsociety.org. Serving on a VAHS committee such as Communications, Education, Development, Finance, etc. You can be as active as you wish as a Venice Area Historical Society volunteer! To volunteer or to find out more about volunteering, contact membership@veniceareahistoricalsociety.org, or call 941-412-0151.